NORCAL Muffler & Truck first opened its Manteca location in 2003, and we opened our Stockton location in 2007. Since then, we have retrofitted over 1000 catalytic converters with our proprietary anti-theft system and have had no reported thefts; therefore, we are confident that our staff can retrofit your catalytic converter to prevent virtually all thefts. In addition, our professional staff will improve, replace or repair your brakes or brake pads, suspension system, muffler and exhaust system and much more. 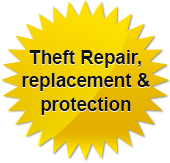 Our repair technicians are fully trained and have decades of experience. We are honest, reliable and are able to give custom quotes immediately and accurately. Our customers feel confident that they are receiving great quality work from honest professionals at a fair and competitive price. NORCAL Muffler keeps a large variety of inventory on hand so that we can shorten your service time and give quotes accurately. If we do not have your parts on hand, we can usually get them the following day so we can take care of your service needs promptly. Our goal is to sell our customer the correct product the first time, every time, so that there is no need to spend additional money on unnecessary parts, labor and products. We are friendly and personable, while providing high-quality products and services. Custom quotes are available immediately, so please don’t hesitate to call us or stop by our Stockton or Manteca locations.